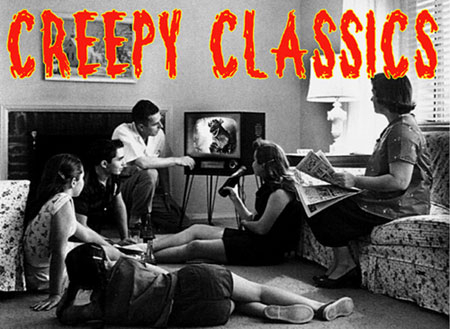 The magazine of classic monster movie fun! Join writers Tom Weaver, Michael Lederman, Lawrence Fultz, Ron Adams, and more as we find out about TEENAGE ZOMBIES, A Gorilla Dad, Dinosaurs of the Silver Scream, The Niagara Falls Frankenstein, and more! Plus, the Creepy Crossword and the Terror Test....and loads of rare photos! All glossy pages.